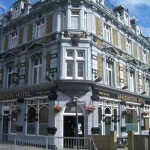 Fox And Hounds in Lewisham has accommodation. The pub has a beer garden, it has an outside area. Fox And Hounds has a dart board. The pub has DJ's, it has karaoke. Fox And Hounds has live music events. The pub holds Poker Nights, it has a pool table. Fox And Hounds has a big screen. The pub shows football on TV, it has Sky Sports. Fox And Hounds has terrestrial TV. 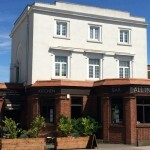 Gipsy Hill Tavern in Lambeth has accommodation. The pub has a function room that can be booked, it has an outside area. Gipsy Hill Tavern has a smoking area. The pub has free WiFi, it shows football on TV. Gipsy Hill Tavern has Sky Sports. The pub has terrestrial TV. Grange in Southwark has accommodation. The pub has an outside area, it has a smoking area. Grange has free WiFi. The pub has a pool table, it has a big screen. Grange shows football on TV. The pub has Sky Sports, it has terrestrial TV. Great North Wood in Lambeth has accommodation. The pub has an outside area, it serves real ale. Great North Wood has free WiFi. The pub has a dart board, it has a pool table. Great North Wood has a big screen. The pub shows football on TV, it has Sky Sports. Great North Wood has terrestrial TV. The pub is a member of Cask Marque. 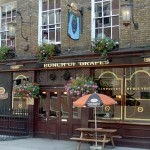 Hour Glass in Southwark has accommodation. The pub has free WiFi, it shows football on TV. Hour Glass has Sky Sports. The pub has terrestrial TV. 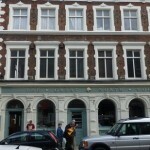 Joiners Arms in Southwark has accommodation. The pub has a beer garden, it gives a warm welcome to dogs and their owners. Joiners Arms has an outside area. The pub serves real ale, it has a smoking area. Joiners Arms has free WiFi. The pub has DJ's, it has live music events. Joiners Arms has a pool table. The pub holds quiz nights, it has a big screen. Joiners Arms shows football on TV. The pub has Sky Sports, it has terrestrial TV. Oceans Apart in Croydon has accommodation. The pub has an outside area, it has a smoking area. Oceans Apart shows football on TV. The pub has terrestrial TV. 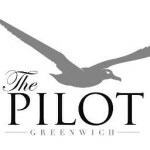 Newly refurbished, amazing menu, great range of beers, boutique rooms in the heart of Greenwich Peninsula. 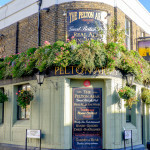 Red Lion in Southwark has accommodation. The pub has free WiFi, it has a pool table. Red Lion has a big screen. The pub shows football on TV, it has Sky Sports. Red Lion has terrestrial TV.